These herbal block drawer sachets are scented with natural essential oils to subtly perfume and freshen your clothing while protecting from moths and other wool-loving insects. Place unopened in a drawer, wardrobe or even suitcase while travelling for extra protection to help keep your superfine merino wool clothing safe from moth damage. 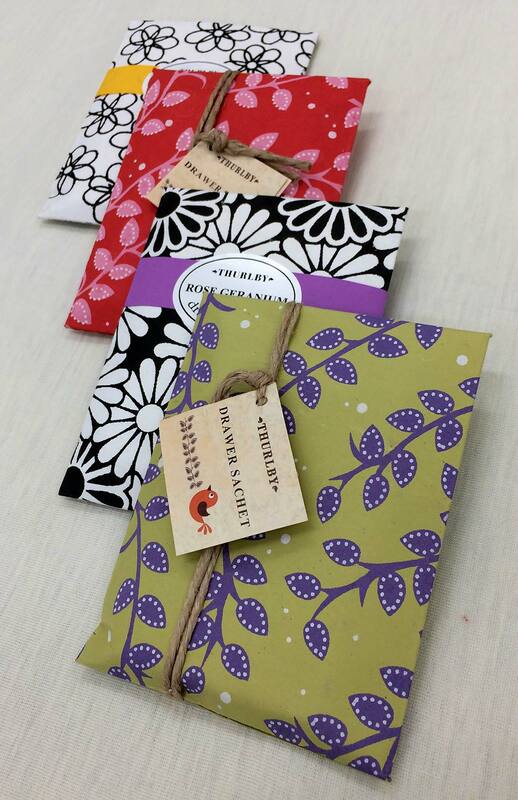 These beautifully designed sachets also make a perfect small gift! Package designs and scents will vary. Sold as singles. Sachet measures approximately 10cm x 13cm.